VELUX America’s top-hinged roof windows are engineered to provide panoramic views and to increase the amount of natural light in rooms, while boosting a home’s energy efficiency. 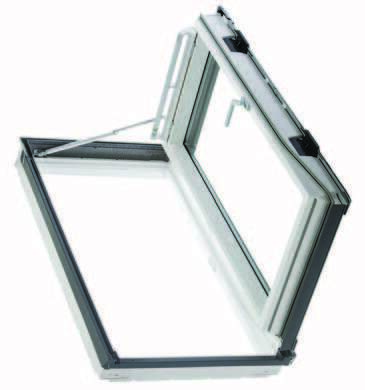 The convenient bottom operation is designed to be the perfect choice for loft conversions with windows in easy reach. Pull the unique top control bar once and fresh, filtered air will enter through the ventilation flap. Described as being perfect for contemporary interiors and white ceilings, the polyurethane moulding is said to have no visible joints, and therefore ensures a moisture resistant finish that requires less maintenance than lacquered natural pine. 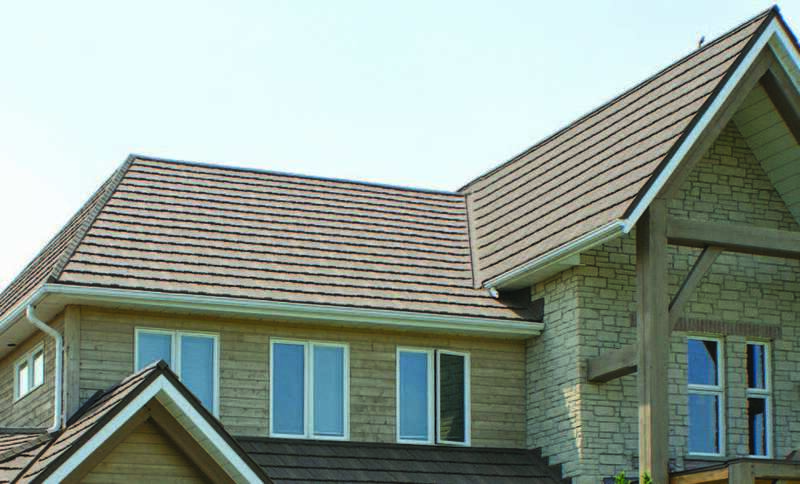 Allmet is a premium stone-coated metal roofing system that’s designed to deliver the rugged durability and strength of metal roofing while emulating the aesthetics of wood shake, genuine slate, Spanish Tile and shingle roofing. When installed as designed, this dry under-deck roofing system aims to eliminate the need for moisture barriers that can eventually fail. Made from 3/16 galvalume-coated metal, Allmet systems are said to not rot, crack, warp or break. In addition to being 67% lighter than asphalt laminates, it is backed by a limited lifetime transferable warranty that covers up to 120 mile per hour winds, 2.5-inch hail stones and fire.